Squidcakes! : What are you looking at? 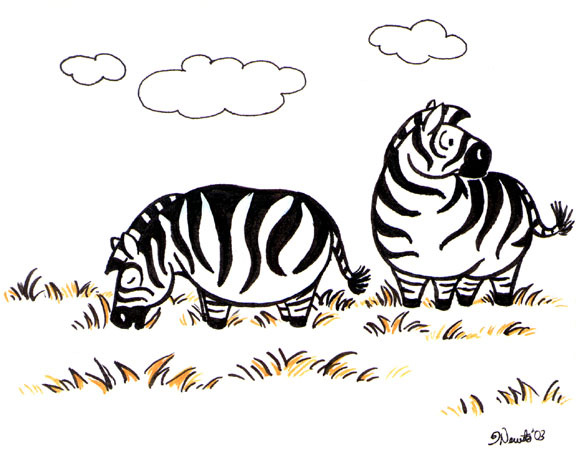 So what is the zebra looking at? If you immediately guessed a meat eating Vienna Sausage, you of course have sustained a blow to the head. 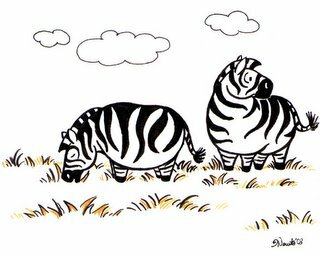 This sketch was done back in 2003 and I have dug it out, given it away to family and then decided to do a full color render of it. So stay tuned. Also, I posted 4 new available prints for those of you who enjoy giving me money. If you are on the framed version of this site then just look to the left... on the top... you see them? What are you looking at? The Answer!